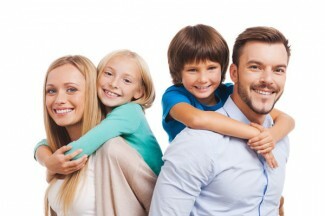 Orthodontics can be beneficial for patients of any age. At Surrey Braces dental centre in Weybridge, we offer a wide selection of orthodontic appliances designed to meet the needs of children, teenagers, and adults. Whatever type and amount of correction you need, at our Weybridge dental centre we will find the perfect appliance to suit your needs. An increasing number of men and women are showing an interest in orthodontics later in life, and adult orthodontic treatment is becoming ever more popular, as people start to realise the true value of a beautiful, nicely aligned smile. It might be that you had orthodontic treatment as a teenager only to experience adult relapse, or you may never have visited the world of orthodontics until now. Whatever your past experiences and present requirements, at Surrey Braces dental centre in Weybridge, we can help. At our Weybridge dental practice we know that adult orthodontics need to be subtle as well as effective. Metal braces may be a badge of honour among teenagers, part of the transition into adulthood and a way of making a fashion statement now that the brace elastics can be colour-customised, but for adults the thought of a noticeable fixed metal appliance can be enough to put them off orthodontics for life. It doesn’t have to be this way. Our Weybridge clinic offers both subtle fixed braces and clear, removable aligners, designed to straighten adults’ teeth without the whole world having to know that you are having treatment. We are also always keen to point out that orthodontics have more than just aesthetic benefits. It makes your teeth easier to keep clean when they are properly aligned, with fewer gaps where dental plaque can build up. This cuts your risk of gum disease and tooth decay, the two main causes of tooth loss. Problems with your bite can also affect your diet, and in some cases can cause jaw problems, head or shoulder aches, and excessive wear on certain teeth. Adult orthodontics can bring your teeth into better alignment quickly and discreetly. It can also help in some cases of bruxism – night time tooth grinding. This entry was posted in Orthodontics on 2nd September, 2016 by Weybridge and Kingston.